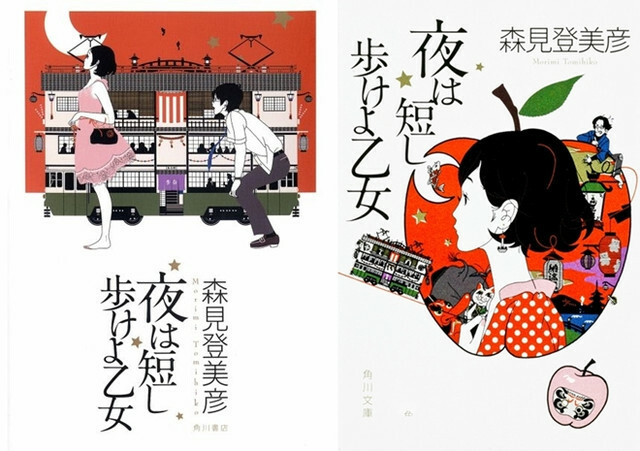 It is officially confirmed today that an anime feature film adaptation of Tomihiko Morimi's award-winning love story novel Yoru wa Mijikashi Arukeyo Otome (Night is short, Walk, Girl) is in the works for an April 7, 2017 release in Japan. The 37-year-old author made his professional writer debut by winning the first place in the 15th Japan Fantasy Novel Award by Taiyo no Tou (The Tower of The Sun) in 2003. 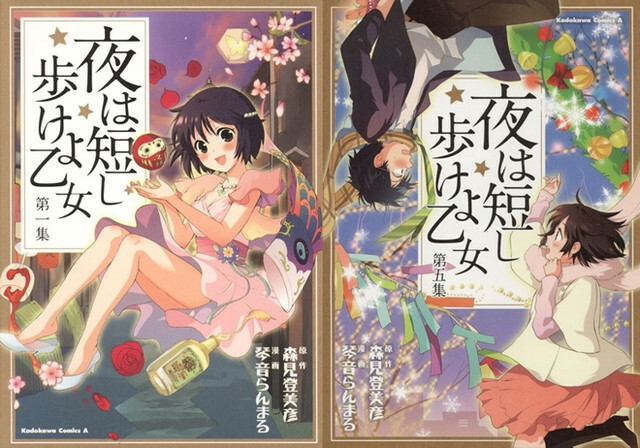 Yoru wa Mijikashi Arukeyo Otome was published from Kadokawa Shoten in 2006. It won the 20th Yamamoto Shugoro Prize and was nominated for the 137th Naoki Prize. Its manga adaptation illustrated by Ranmaru Kotone was serialized in Kadokawa's Zoukan Ace then compiled in five tankobon volumes. 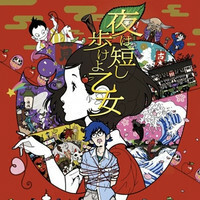 And its stage play adaptation produced by Atelier Dancan was performed in April 2009.
work, alongside screenplay writer Makoto Ueda and theme song performer Asian Kung-Fu Generation. Animation) works on anime production. 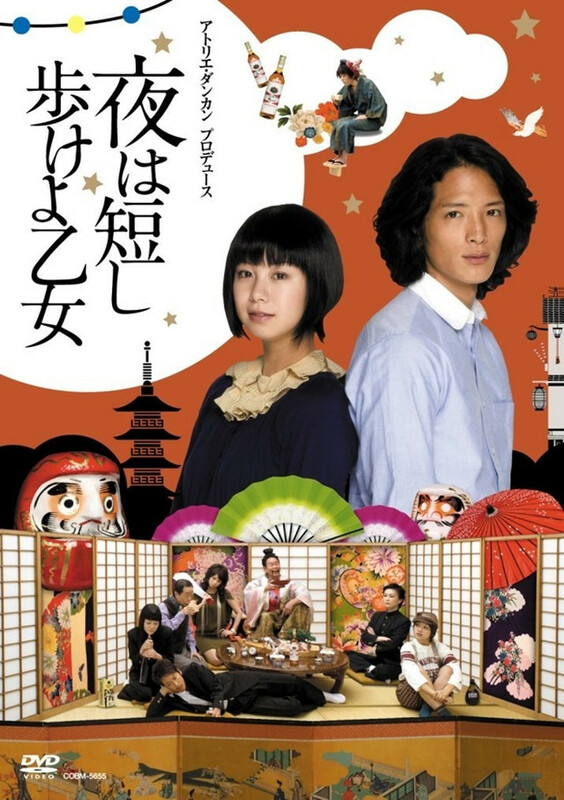 based on Hikaru Nakamura's comedy manga of the same name.